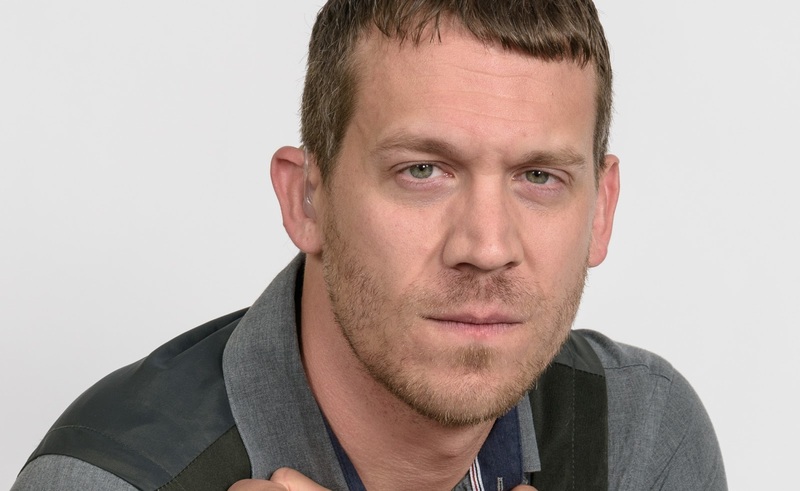 Russell Harvard will be starring in the Zach Theatre production of "Tribes." We've had an exciting and busy week here at the VSL H.Q. We spent three days working on an annual report shoot for a central Texas utility company which necessitated early mornings and the fun filled stress of managing a CEO, a group of marketing and advertising people, four large trucks, eight linemen and assorted additional crew, all on exterior locations. This all followed days of pre-planning meetings, conversations with drone experts assistant booking and lots of packing and re-packing. But we aren't done yet. One of the things that jumped out at me from my calendar (and the white board next to my desk) was that we had also booked a marketing shoot for Zach Theatre's season brochure for today. We needed a bunch of shots to promote our version of Mary Poppins and also a play called, Tribes. After I put all the batteries back on chargers yesterday evening I started packing for today. I would be using completely different lighting gear than I had been using for the A.R. I packed my standard white background kit because we would be doing a series of set-ups that the art director at Zach Theatre would use in the campaign. She will be dropping images into different colored backgrounds and, in some cases, into composite scenes. What we'd be looking for is nice, clean lines to cut against. We are no longer in the search for perfect white backgrounds right out of camera. And that was good in this situation because our shoot was relegated to a small space that didn't give me the front to back depth to do our traditional white background set up. In this case all the lights are in front of our actors and I'm counting on the inverse square law and smart placement of lights to carry the day. I packed our four Elinchrom mono-lights with umbrella reflectors, five light stands, our background set up with a white seamless paper background. All four lights had 42 inch umbrellas mounted on them and I used various ratios between the lights to get the look to the overall light that I wanted. I triggered the lights with Cactus V6 transceiver triggers. My camera and lens of choice for today was the Nikon D810 with one lens; the 24-85mm f3.5-4.5 G Nikon zoom. It's a step up from a kit lens and I often see them for ridiculously low prices in my favorite camera store. It must have been part of a Nikon bundle at one point. All I know is that while the lens has some linear distortion it's very sharp and very well behaved. It's perfect for work like this where we need to be able to go from full body to close head shots from one frame to the next. I packed everything but the cameras into the car last night. Our call at the theater was set for 11:00 a.m. and as today is Saturday (my most holy day of swimming) I was determined to be ready to go on time but without missing the wonderful (and difficult) Kristen Turner masters workout and the post swim coffee klatch at Starbucks. I figure if you are a freelancer you need to get your socializing where you can, right? Outer Critics Circle, and Lucille Lortell Award nominations for Outstanding Lead Actor. Same image cropped in to nearly 100%. Russell was great to work with and we ended up with a couple hundred really good shots with which to promote the play. I was struck with how well the 24/85mm lens worked with the D810. It's a powerful combination and I feel like many people who immediately default to the clichéd 24-70mm f2.8 are missing a really good image maker at a very advantageous price. The images from Mary Poppins and Tribes are already color corrected and transferred to a small hard drive for delivery on Monday and you'd think that might be a good place to break for the weekend but my iCalendar had other plans. I am also booked to shoot all day tomorrow for the Bob Bullock Texas State History Museum. This job will be more of a "reportage" style escapade. I'll be "wearing" two cameras; one with the new Sigma 50mm 1.4 Art lens and the other with the Nikon 24-85mm f3.5-4.5. I'll also have a small flash with a modifier and a messenger bag full of model releases. The batteries are recharged and the small camera bags are packed. All that stands between me and the project tomorrow will be our Sunday masters swim workout. That and a full day of shooting and I should have the weekend all wrapped up and I'll be ready to dive into new work on Monday morning. Yippee. Never a dull moment around here. Counting down the moments till my trip to Saratoga Springs, NY gets underway. I leave Austin at 5:30am on Weds. and should be in S.S. by 1:30 or 2:00 pm. It'll be great to see friends and hang with Ben. I'm looking forward to it. After a long week of lugging around Nikons I think this trip definitely calls for the more discreet and almost silent Olympus EM5.2. Thanks for reading. I'll catch up with you tomorrow. Go to Amazon and check out the two new reviews of the Novel, The Lisbon Portfolio. The economy is recovering. Now you can afford to buy a copy! One more program note: We've spent the last year making hundreds of images for the Bob Bullock Texas State History Museum and many of them are used on the new website. That website, the design of which was overseen by David Munns, won the Gold Award for Online Presence at the American Alliance for Museums convention in Atlanta this last week. The site beat out competitors like the Smithsonian National Air and Space Museum and many others. Nice to see good work acknowledged.